I suppose it’s only right to set the scene from the beginning: this is mainly a car website and I’m mainly a car fan. But there is an active motorbike section on the forum, where members of the 2 wheeled fraternity talk about chains and leather and stuff. Also, I was once the proud owner of an early 90’s 125cc KTM scrambler (which I fell off a lot). A few weeks ago, I had an experience where I felt like I clicked the wrong link and stumbled aimlessly into the motorbike section of RMS. The result? I ending up being engrossed in one of the most accessible and entertaining motorsport events I’ve ever attended. As with most introductions to new motorsports, this one started with a random encounter. My wife and I were talking a Saturday evening stroll through the woods when the scream of a stressed 2 stroke engine reverberated through the trees around us. The initial high pitched wail was accompanied by a deeper throatier rumble. “There is more than one of them” my wife said, trying to pinpoint which direction the noise was coming from. Throughout our short stroll we caught glimpses of movement between the trees accompanied by the distinctive smell of 2-stroke smoke hanging in the woods and every so often a bike would cross the forestry tracks off in the distance. The glimpses were fleeting, a flash of color in the woods, I would raise my camera and they were gone. As we were just about to get back to the car and go home, we walked around a blind corner on the forestry track and there they were. 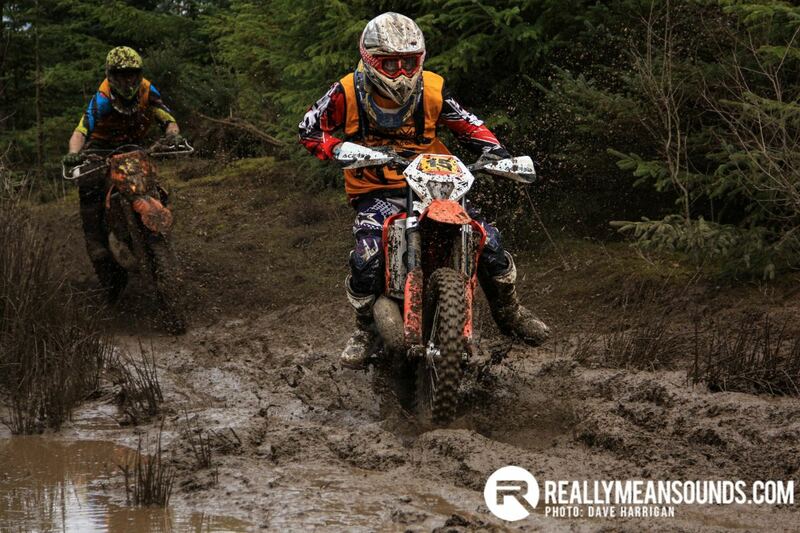 Six very muddy enduro bikes and 6 very muddy riders sitting in a clearing having a break. 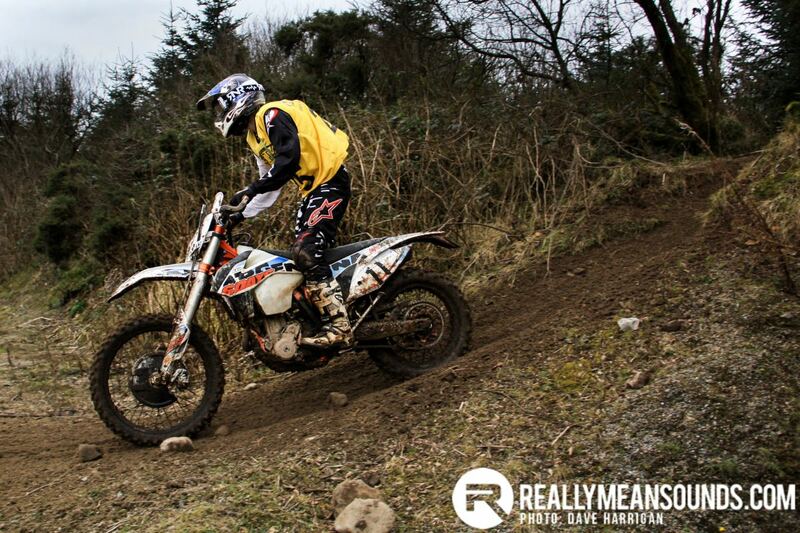 A short conversation led from one thing to another and the following morning I found myself standing in a quarry, on the top of a hill in the middle of the Sperrin Mountains at the Foyle District Motorcycle Club – Lough Fly cross country race. To say I felt out of place is an understatement. I’ve already mentioned I’m more of a car fan, but to be more precise, I’m a rally fan; a tarmac rally fan to be even more specific. So watching motorbikes race around a quarry and the surrounding woods is a bit of a novelty to me. But, being a rally fan means standing on ditches in the rain, how different can this be? Let me tell you, it’s very different. And it’s absolutely brilliant. Like most successful forms of motorsport, the premise is very simple. 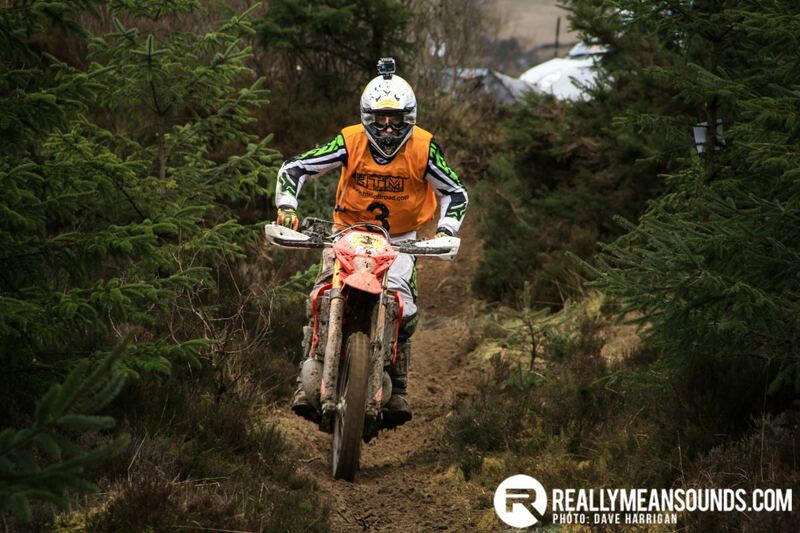 A route is marked out using quarry roads, forest tracks and narrow forest paths and whoever completes the most laps of the track in 2 hours wins. Two hours might seem like a relatively short time but the terrain covered is grueling and draining. The track throws all sorts of terrain at the riders; mud, rocks, tree roots, mud, jumps, bumps, mud, deep ruts, gravel and some more mud. Even watching for 2 hours made my arms hurt. This is a spectator motorsport like none I’ve experienced before. 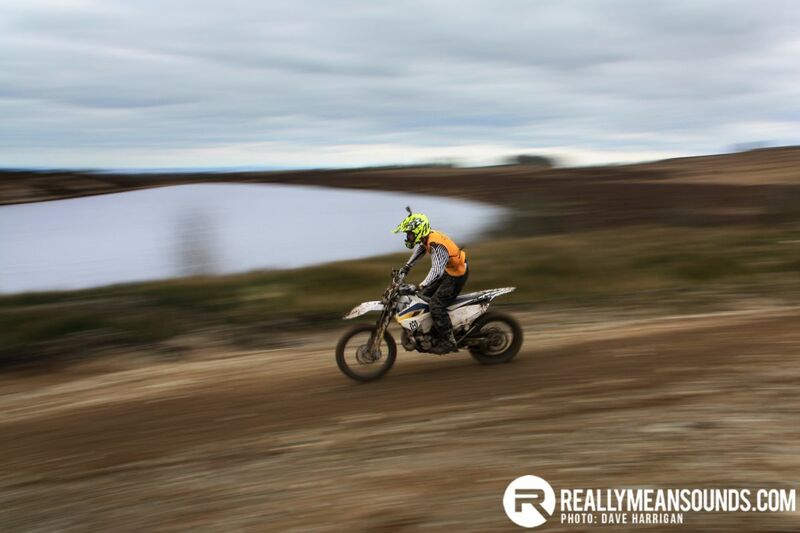 There is a laid back, easy going atmosphere, spectators wander around, watching a section of the track for a while before moving on to another vantage point to see how the riders tackle the next natural obstacle. Riders even recognise and interact with those watching. 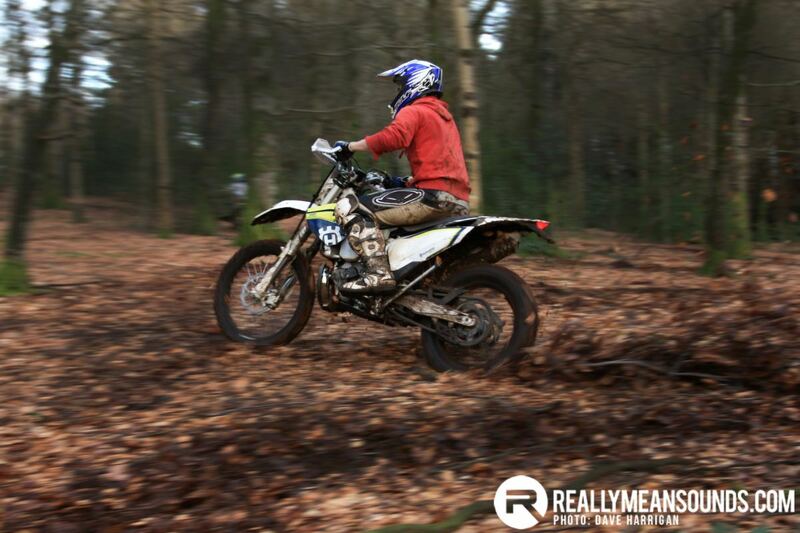 I was there for 5 minutes, had just got my camera out and had taken up what I thought was a good position for an action shot when one of the riders from the previous day came out of the trees, covering me in mud and shouting; “Yes lad. Ye made it” as he passed by. And he was competing in the race. My initial encounter on the day set the tone for the friendly atmosphere of the event. I spent the day there, walking the track, talking to spectators and riders trying to grab pictures as the race flashed by through the woods. 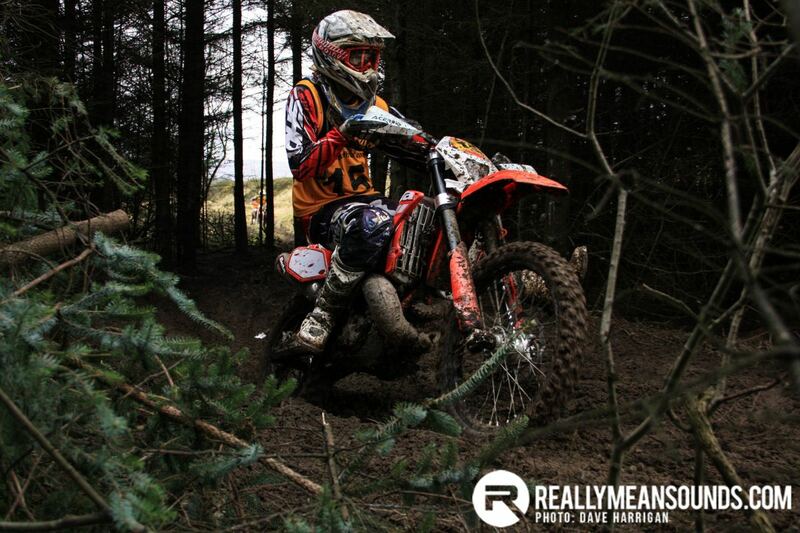 From my fleeting introduction Enduro racing at this level, competing also appears to be as appealing as spectating. 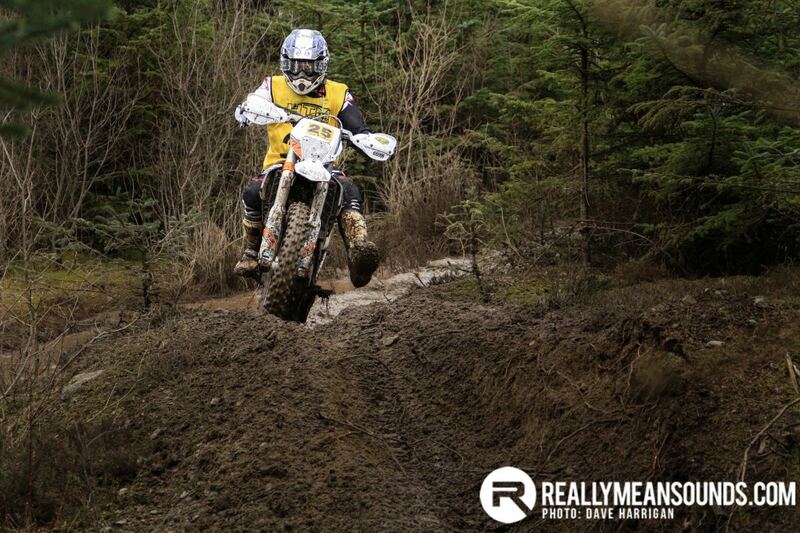 Enduro appears to be a very cost effective and rewarding form of motorsport, where fitness and technical ability will outweigh financial clout, leading to competitive and good natured racing. In the end, to my embarrassment, I cannot even report who won the event, but I do know one thing: I’ll be attending the next race in June. I might even venture into the motorbike section of the forum to do a bit of research before then. Please see the gallery below for more images from the event. Magic article and great shots! Ive actually been bitten by the bug lol, it seems like such a cost effective and enjoyable sport. looks like fantastic crac - someday! This looks unreal! How do I get involved?? Anyone know? | This looks unreal! How do I get involved?? Anyone know?